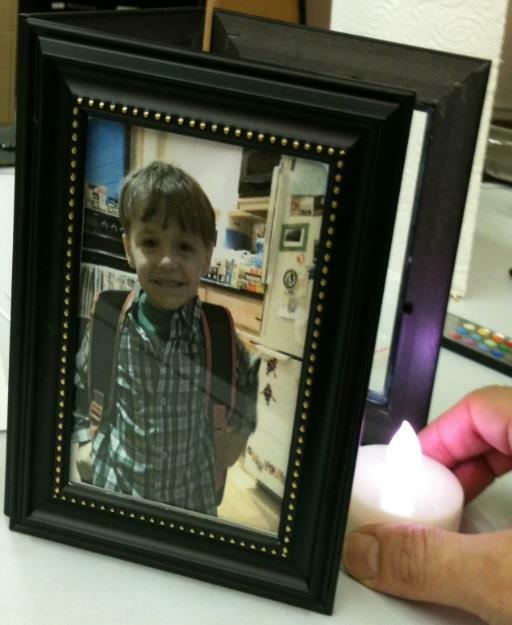 The lighted tri-fold photo frame stand is a perfect do-it-yourself (DIY) project. The completed tri-fold frame can be used for special occasions, such as birthdays and weddings – whether you give it as a gift or commemorate the occasion by using it as a décor piece. We are proud to offer this easy DIY craft project because it is fun to do and inexpensive to make. FRAMES: To begin, select 3 lightweight photo frames (wood frames are preferable, however plastic frames may also be able to be used). Note that the project works best if the frames are the exact same type; however differing style frames of the same height and width could potentially be used. The important factor is that the frames are all the same width. We purchased the 5” X 3-1/2” frames shown from a local dollar store. 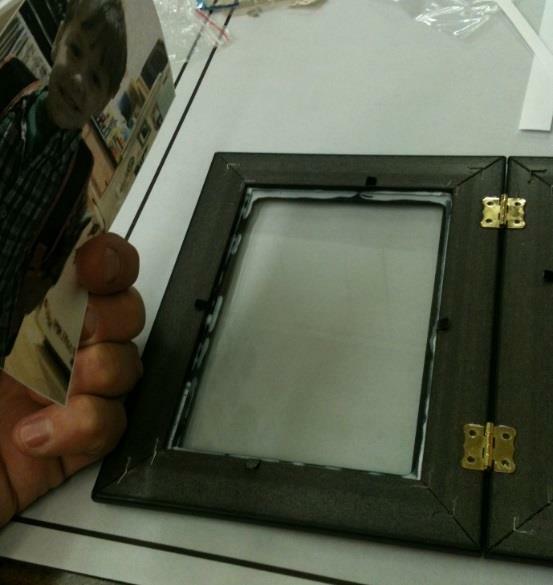 ADHESIVES: The photo frame glass panels will need to be glued into place with epoxy or silicone adhesives. Make sure the adhesive you select can be used with the materials to be glued together. Note that in some cases, it may be necessary to glue the hinges to the frame assemblies. If such is the case, we recommend a high strength, fast drying (5 minute) epoxy that can be used with a variety of materials (wood, metal, glass, plastic, etc.). HINGES: For the project shown, we used Klockit stock #39148 decorative hinges. Other small hinges could also be used (#39147, #39091, #39212) depending on the style of frame you have selected. The frames you select may not allow hinge screws to be used. If such is the case, consider securing the hinges with epoxy adhesive. LED TEALIGHT: The photos can be illuminated from within the tri-fold frame assembly with Klockit’s LED tealight: Stock #58000 – with remote control; Stock #58009 – without remote. Carefully remove the photo backing card and any paper inserts, and discard. The glass panels may also be removed at this time. With the glass panels removed, bend the backing tabs of the frame against the backside of the frame assembly. Glue the glass panels into the rear “step” (or rabbet) of each frame assembly. We used a glue called Weldbond to secure the glass, but an epoxy or silicone adhesive will also work. Most importantly, the adhesive should be recommended for use with glass and finished wood. 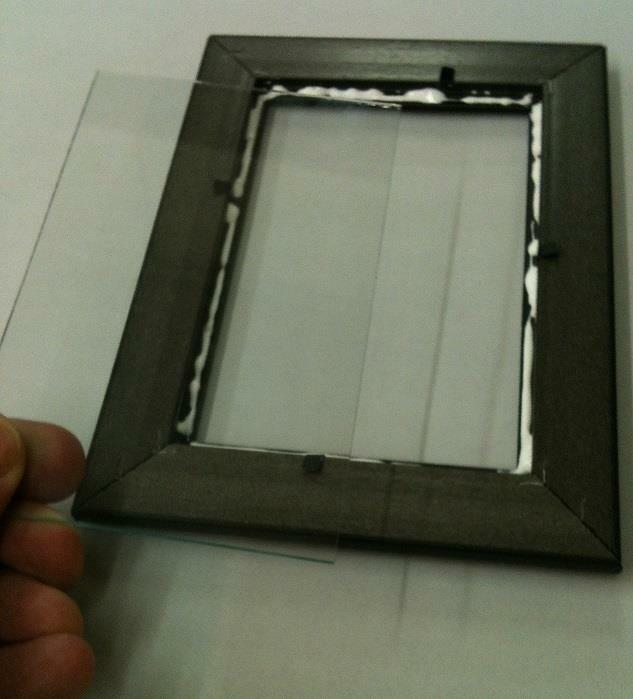 If you are working with plastic frames, make certain the adhesive is recommended for use with plastic and glass. Apply a thin bead of glue to the interior rabbet of each frame assembly. Try to keep the adhesive set back from the photo opening edge of the rabbet to minimize excess glue seeping onto the front surface of the glass panel. Re-mount the glass panel and make certain it is centered in the opening. If need be, remove any excess seepage of adhesive and allow proper drying time. Lay the frame assemblies side by side as shown below. The center frame should be spaced (gapped) from the outside frames by about 1/16” or slightly more. The bottom edge of all 3 frames must be perfectly flush. Apply strips of masking tape to temporarily hold all 3 frames together in proper orientation. This will help to keep the frames from shifting out of position as you work to secure the hinges. Position the hinges onto each frame assembly. The hinge barrel should be facing up and centered over the gap between each frame assembly. The upper hinge barrels should be in line with the lower hinge barrels so that both are vertically plumb in relation to the frames. We located the hinges about 1” in from the top/bottom ends of the frame assemblies. Note that the 1” recommendation is subject to change depending on frame size and hinge selection. NOTE: Depending on the selection of your frame assemblies, you may not be able to use the screws included with the hinges. In many cases, frames will not be thick enough to accommodate the length of screw supplied with the hinge. If this should be the case, you may epoxy the hinge to the back surface of the frame. Trace a light pencil outline of the hinge, and use a utility knife to score the area within the hinge leaf outline on the backside of the frame. This will help to promote a strong glue bond between the frame and hinge. Once the hinges are secured (or once the epoxy has dried), you may clean the glass panels and prepare your photos for mounting. Trim photos to the size of the opening on the rear surface of each frame. The photo should overlap the rabbet on all 4 sides, so make certain the photo subject is more or less centered in the photo. Photo paper and standard photos can be used, however you will want to ensure there are no manufacturer logos or similar prints directly on the back of the photo paper if you plan to back-light photos. Standard paper can be used, but note that it will tend to appear a bit grainy when backlit. Vellum is another possible material that can be used for backlit photos, commonly found at printing shops. Place the photo against the backside of the glass panel. Center the photo in the frame opening, making certain the photo overlaps the rabbets the frame glass is glued to. Secure the photos to the frame with a couple of pieces of transparent tape on all four sides. 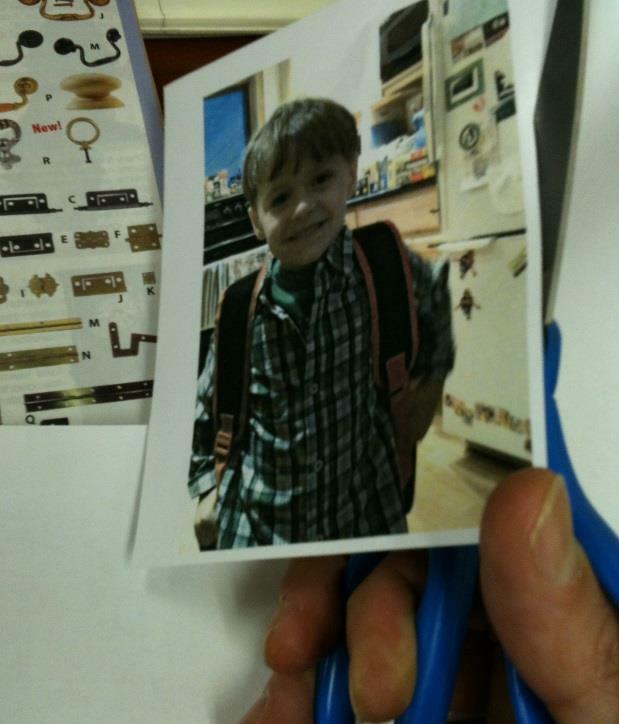 Transparent tape makes photos easy to remove in order to change them from time to time. Repeat this process for mounting the remaining two photos. Finally, place the LED tealight within the frame assembly as shown below. Bring the two “free” edges of the outside frames together around the tealight, and make certain the tealight is centered within the assembly. Questions on this DIY project? Please post your question in the comments section below. Or you can send your question(s) to Rappner@primexinc.com. Chris is responsible for the kit, plan, and finishing technical support, which he has provided to Klockit customers for over 14 years. Chris also contributes new product designs, composes written/illustrated assembly manuals, and works to develop new kit and plan products for the Klockit catalog. Chris’s experience is the culmination of years of training under his mentor, and Klockit Designer, John Cooper.